"The guides and Mr. Tu are very friendly and attentive"
I apologize for my late answer to you. I thank you again for this wonderful trip that you have perfectly organized in Vietnam. I have had great memories of everything I've seen, all the people I've met and everything I've discovered. The guides were very competent and very kind, I did not bored for a single second. I also thank you for being available and for being there when I needed it ... When I got lost in Hanoi for example! What an adventure! I also want to say that I greatly appreciated that my program was perfectly respected, I saw everything that I wanted to see and even more than I thought. To all future travelers, you will not be surprised by the beauty of the landscapes and culture of Vietnam ... Change of scenery guaranteed! The Sapa region, Ba Be Lake, Hanoi, Hue, Hoi An, and Phu Quoc remain my favorites. If you like the contact of others and discover new culture, what better than to sleep at home and get to know one (or more) glass of rice alcohol! Good atmosphere guaranteed. I left alone one month, which is enough to discover the whole country. 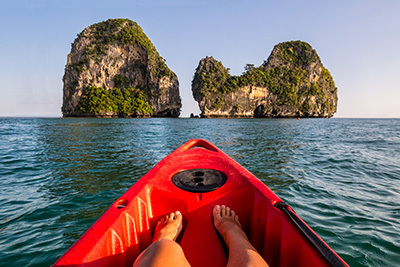 For those who do not have as much time, choose your destinations: The north, the center (Hue, Hoian ...), the Mekong Delta and Phu Quoc are still very authentic. The seaside towns and Saigon are very westernized: shops everywhere, noise, a lot of tourists ... Make your choice! To come back to the Association, know that they are very competent and value for money more than interesting. The guides and Mr. Tu are very friendly and attentive, they do their best to make your trip an unforgettable experience ... If necessary do not hesitate to contact me, for any information I am at your disposal.